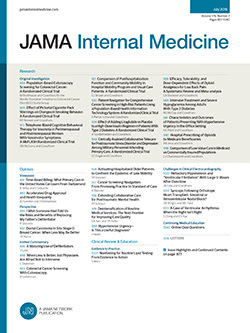 In Reply We thank Dombrowski et al for noting several implications of our study,1 including the need for better electronic health record (EHR) designs and staffing strategies that support team-based care to help manage influx of information. With their ability to quantify nonvisit activities, EHRs provide us with measurements to inform new reimbursement models that reward the important non face-to-face work physicians do. These measurements were previously difficult to perform in the era of paper records2 and most pre-post EHR workload comparisons are anecdotal. However, we disagree with the assumption by Dombrowski et al that we imply that the EHR itself is the culprit for this aspect of physician workload. Our study sought to measure EHR-delivered information to provider inboxes to improve understanding of asynchronous, nonface-to-face activities in the EHR era, for some of the same reasons Dombrowski et al noted.